The Open Spaces Committee's decision to consider the maintenance of the ground on the north side of All Saints' Church as a public open space has been shelved. This was agreed upon after a further discussion with the Vicar and one of the Church Wardens. It appeared that the approach to the Council had stimulated interest in maintenance of the ground by voluntary labour. available site would be the land at the western end of the shopping centre on the northern side of the road and forming part of the ground of York House School. The estimated cost of the building would be £2,000. 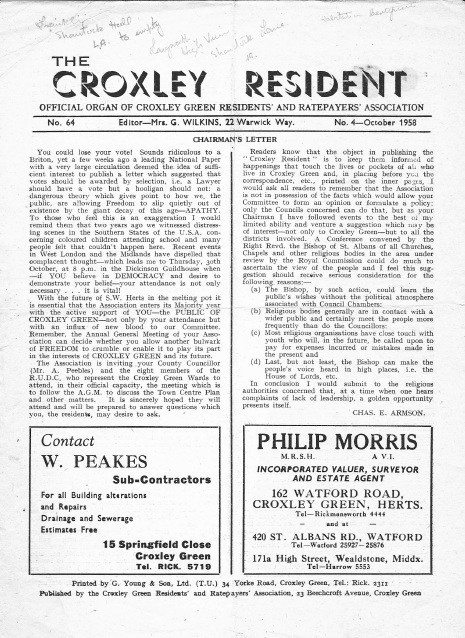 At Croxley Green the selection of the site was more difficult but details of two sites were under consideration. Negotiations are being commenced for the purchase of the land at Moneyhill Parade. The Treasurer of Rickmansworth Urban District Council reported that the acquisition of this land by the Council had been approved for grant purposes under the Town and Country Planning (Grants) Regulations I956. Wake Up! Wake Up! 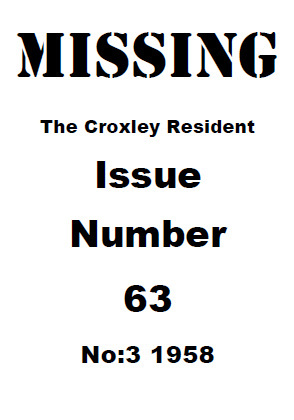 Croxley Residents. In your district there is a living! theatre. 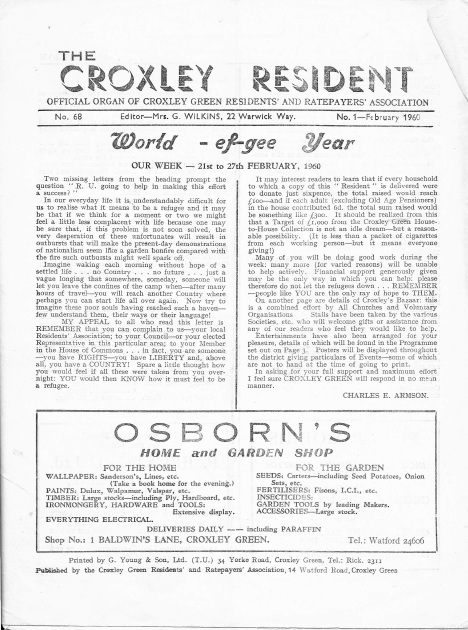 Most of you have, at some time, seen a notice advertising a play by Croxley Theatre Club, but have not thought it worthwhile to find out what it was like. A PLAY. L. L. BECKFORD (Chairman) . 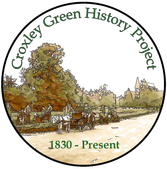 Saturday, 7th June: The Croxlev Green Conservatives will hold their Annual Fete at Parrotts, The Green, at 2.30 p.m.
Saturday, 14th June: All Saints' Parish Church are holding their Summer Fair in the Church Garden adjoining the Green at 3 p.m. This will be held sometime in August-details to be issued later. have not arranged any social functions. ​Perhaps under the floorboards or in the attic that you have not cleared out for 50 years. It would be greta to have all copies and we hope to find the missing copies some day. ​The CGRA Chairman Chas E. Armson invited the ratepayers of Croxley Green to comment as to if they want to become part of the planned Watford Urban District Council. He also invited the mayor of Watford to attend a CGRA meeting to help explain the meaning of "County Borough Status". 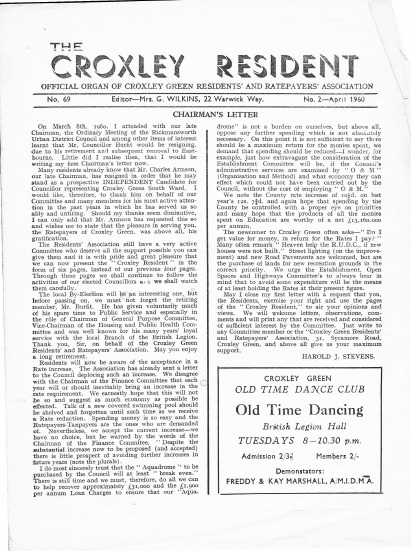 Out of total rates of 18/8d the County Council take as much as 12/4d The Croxley Green Choral Society were planning "Elijah" at the Dickinson Guildhouse April 1959. 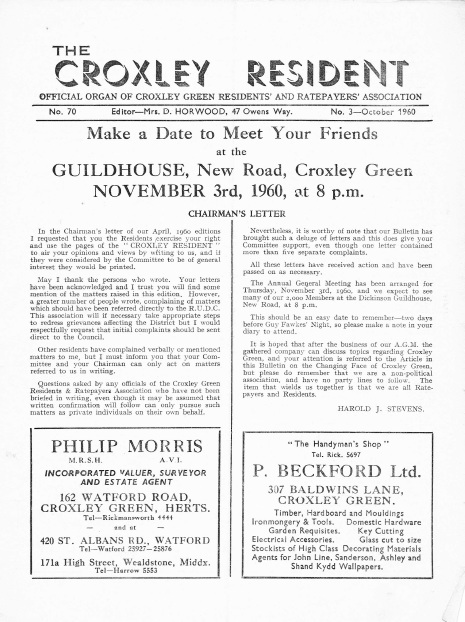 The 13th/14th November would see the play "John Marlows Profession" performed by the Croxley Theatre Guild. 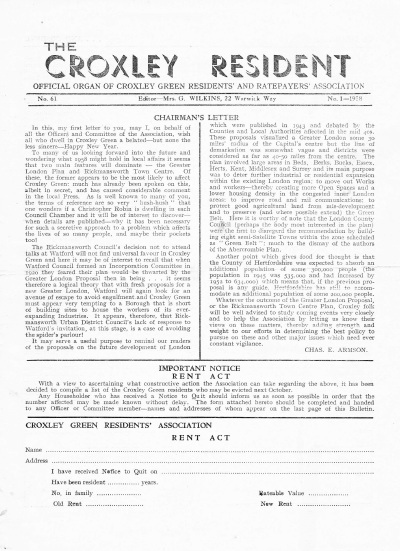 The aim of the CGRA was "to obtain information of interest to all those who live in this district" as ever, people were asked to form their own judgement and that the Resident only helped pass on information. enlighten you prior. to such conclusions. be- From Aldgate, stopping at Finchley Road, North Harrow and all stations beyond - 4 trains per hour. From Baker Street, stopping at Finchley Road, Wembley Park and stations beyond - 4 trains per hour. 2. The eight trains per hour mentioned will each have a capacity of 448 seats. 3. Outside peak hours the trains will be at regular 15 minute intervals, each train having a capacity of 224 seats. increasing demand from stations beyond Rickmansworth where residential districts are developing. N.B. - A slight "warning note" creeps into his letter that traffic on the Watford line has fallen by 22 % since 1950. Railway Station was deferred at the Town Planning Meeting held on 29th December, 1959. A proposed residential development at Scots Hill has been refused because the land is required for road widening. We understand that a proposed extension at the new Rickmansworth Grammar School has aroused some concern to residents: it appears that a new three-story Classroom block plus Dining Hall and Kitchen block is to be built close to the houses on Scots Hill. Croxley Hall Woods - Two caravans and a lorry recently parked in the Woods. It was decided to tow the vehicles on to the Queens Highway and the Police advised of the obstruction thus caused. activities of our elected Councillors and we shall watch them carefully. The local By-Electlon will an interesting one, but before passing on, we must notforget the retiring member, Mr. Burfit. 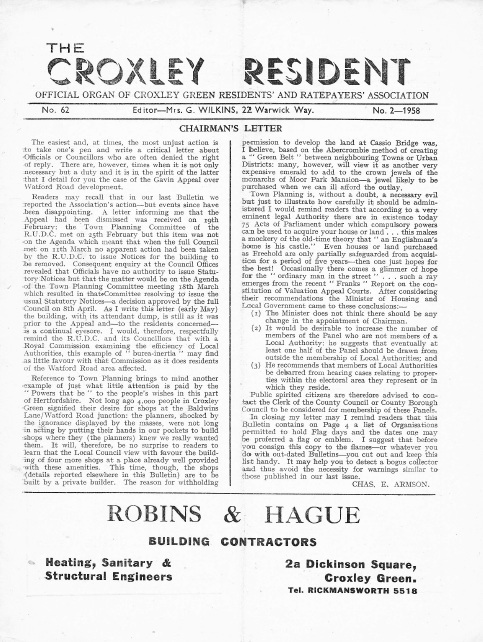 He has given voluntarily much of his spare time to Public Service and especially in the role of Chairman of General Purpose Committee, Vice-Chairman of the Housing and Public Health Committee and was well known for his many years' loyal service with the local Branch of the British Legion. 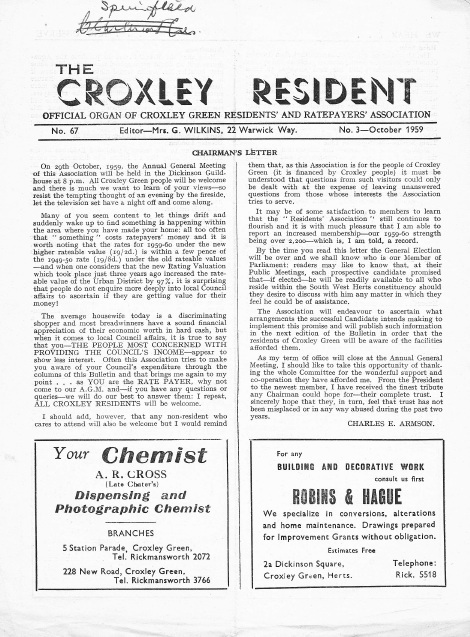 Thank you, Sir, on behalf of .the Croxley Green Residents' and Ratepayers' Association. May you enjoy a long retirement. The Council's Surveyor has submitted a preliminary report of Consulting Engineers, on the Council's proposal to provide a covered swimming pool. Let us hope that upon further consideration it is resolved to shelve this project. 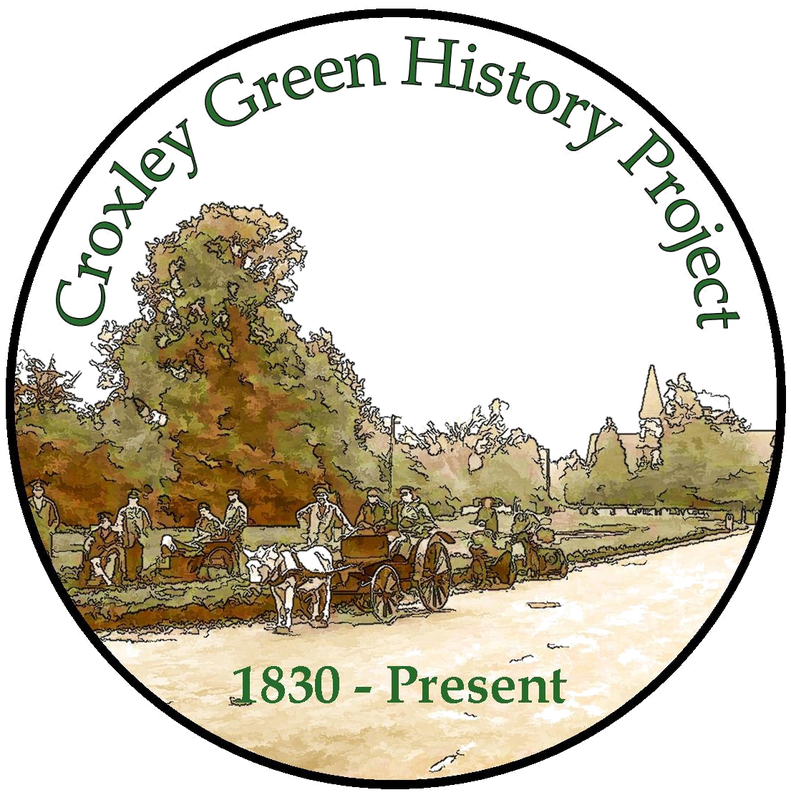 ​Make a Date to Meet Your Friends at the GUILDHOUSE, New Road, NOVEMBER 3rd, 1960, Croxley Green at 8 p.m.
A barrier is to be erected at each end of the footpath between Green Lane and Copthorn Road. Whilst these barriers are effective in prohibiting horse riding, and making cyclists dismount to negotiate them, it is most distressing to Mothers with babies and young children pushing prams along these footpaths in bad weather, when they have to drop the hood of the pram to go under the barrier. The developers of land adjoining Scots Hill nurseries have been given approval to construct a Cul-de-Sac off Scots Hill. Concern is being felt as to the wisdom of this decision, as trademen's vans and private cars will have to filter out of this turning into the stream traffic of· the hill. A Loud Hailer has been purchased by the Council and will be available to organisations who wish to hire it for a charge of 5/- a day with a minimum charge of 10/-.